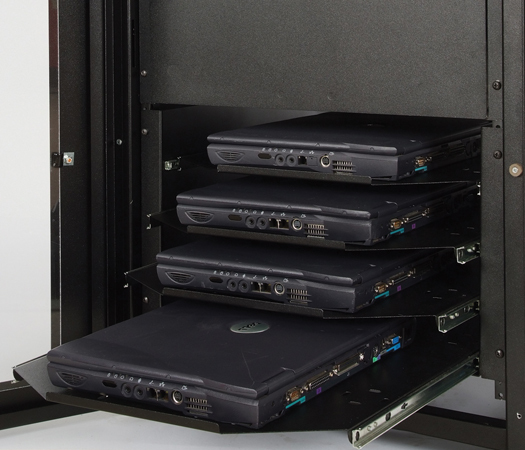 This rack-mount laptop storage unit accommodates up to four laptop computers and stores them horizontally. 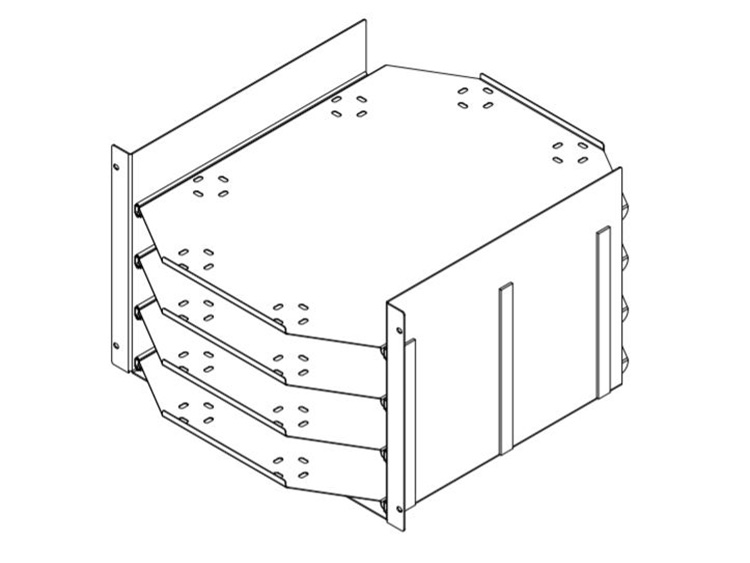 Maximum laptop size per tray: 16.5"W x 20.5"D x 2.8125"H. Requires 7RU. Note: Power accommodations need to be made on the LT-4 for laptop chargers.